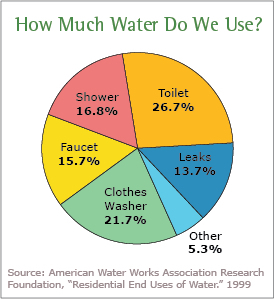 CAN CUT YOUR TOTAL WATER USE BY 40%! Who needs rainwater when you have nitrate-filled shower water to keep your garden growing. ​California doesn't need rain to beat drought - every day people shower, and every day that nitrate-filled water flows into the sewer system. HOGs are sized to easily recycle shower and laundry water onto the garden. Contact us to learn more about simple grey water landscape systems.